After an aggressively cold winter that gripped most of Canada, this summer seems to be burning with a similar vengeance. 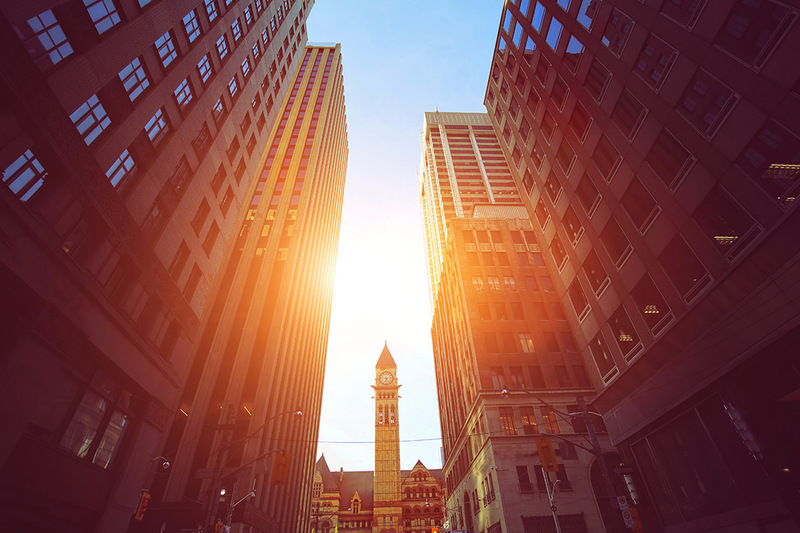 Conor Anderson, a PhD candidate in the Climate Lab at the University of Toronto Scarborough, looked at the heat of this summer in Toronto in the context of the last 30 years in a recent blog post. His findings? Temperatures between June 1 and July 15 made this year the third-warmest summer since 1988. And Anderson found that 2018, which saw three heat warnings, was actually not far above the average number of heat warnings over the last 30 years (2.72 warnings). Writer Alexa Battler spoke to Anderson about the heat we’ve experienced this summer and the science behind what accounts for hot weather in Toronto. You found that, this summer, the mean temperature for both day and night was about a degree-and-a-half warmer than the 30-year average. Why has it felt like such a hot summer? It has felt like a hot summer this year because it has been a hot summer! The nighttime temperature was the most affected, it seems. This summer especially we’ve had a couple of really nasty warm periods, which have nudged those averages up. Of course, we can put a special emphasis on your use of the word felt in this question. I think it is human nature to feel the extremes rather than the everyday weather. We’ve had lots of days this summer that saw temperatures in the low- to mid-20s, close to what we’d expect as seasonal for Toronto. Those don’t tend to be the days that stick out in our memory, though. The Canada Day 2018 heat event was the longest in the past 30 years, if we leave room for one brief moment of relief. What kind of significance does this milestone have? I think that the Canada Day heat event becomes more interesting within the wider context of this summer. In the month of July, we’ve seen temperature records broken across the world – an extended, deadly heatwave in Japan and sweltering temperatures across the world. In fact, the CBC put together a great roundup for a recent issue of the National Newsletter. Our heatwave, which was really part of a continental scale event, is just another notch in the belt of summer 2018. Myriad studies exist that suggest that we should expect climate extremes to become more frequent, so this year may just be a preview of what’s to come. You write that super-hot weather in Toronto is due to warm fronts of hot, tropical air. Why was there such an absence of polar air this summer and why did the tropical air hit so hard? There seems to be a combination of factors that have led to the large proportion of tropical air over Toronto. This year in particular saw the formation of what some meteorologists call a “heat dome,” with the development of a ridge of high pressure south of the jet stream that trapped air and caused it to sink, and therefore compress and become warmer. But this seems to be part of a larger pattern of change in the summertime composition of air masses at Toronto Pearson. We are seeing, overall, the replacement of polar air by tropical air, which seems to be indicative of changes in the summertime behaviour of the polar jet stream and a really interesting topic for further study. Would you consider this weather to be proof of global warming? Given that there is so much variation in the climate system, I don’t think that we can ever say that one or a few weather events are proof of global warming. Was there anything that surprised you while conducting the research from your blog post? As a climate scientist, it is sometimes hard to divorce my perception of the weather from the observed data record. For example, I am living in a new apartment this year, having moved from a basement apartment with air conditioning to the 22nd floor of an apartment block. When the hot weather hit at the beginning of June, I was virtually certain that I was experiencing some of the hottest temperatures Toronto had ever seen. Of course, as I show in my blog, that is not entirely true. It was hot, and it was long, but I’ve experienced worse within my lifetime. As climate change continues to wreaks havoc on large-scale weather patterns the world over, I think that the only thing that we can expect is that our expectations will probably be wrong. To read the entire interview, visit Anderson’s blog here.